The 226 meter long, 34938 dwt self-unloading bulk freighter CSL Niagara went aground on Lake Erie near Sandusky, Ohio. The CSL Niagara had completed loading of 30,000 tons of coal when it grounded in the Moseley Channel. No reports of injuries, damage or pollution released. 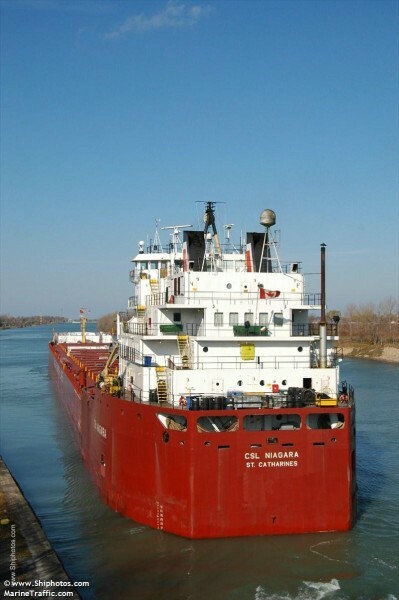 The CSL Niagara was later released the next day with the assistance of three tugs and favorable conditions. The Coast Guard has launched an investigation into the incident.